Are you interested in starting or expanding a native plant garden, but having trouble location native plants? Native plants are indigenous to a particular region and are often the only source of sustenance for native species living in a particular habitat. Habitat erosion, due to overdevelopment or other human intervention, endangers both native plants and animals. While it is illegal to remove the native plants growing wild in woodlands and parks, there are many local resources for learning about and obtaining wildflowers. 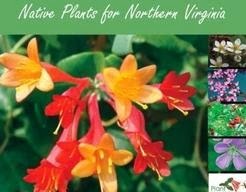 Plant NovaNatives, a northern Virginia campaign to bring attention to the importance of native species, provides a comprehensive, downloadable guide to plants that grow best in our region. They also offer community outreach, speakers, and partnerships with plant retailers. At a recent Master Gardener Meeting, Pamela Mason, of Botanical Artists for Education and the Environment (BAEE), provided the following list of native plant resources. If you know of any others, please pipe up!